Hazel’s Simply no-nonsense approach is refreshing, Her ‘ no cherries on the top.’ attitude has proven to be very popular with her clients. She will tune into your situation very quickly. Helped by her guide Kamal she will tell you what is going on, It may not be what you expect to hear but it will be the way she sees and feels and hears it, Within seconds of speaking to her you will know she is tuned into you, She is brutally honest and tells you it straight with empathy and compassion, For over 30 years now Hazel has been working as a Psychic Medium, She demonstrates to live audiences Teaches Psychic development here and in Europe and has appeared many times on both Radio and Tv, Having a reading with her is like talking to an old friend you will feel like you have known years .She has clients all over the world that come back to her time and time again. This testimonial is for all those who at different points in their lives experience great turmoil and need someone who will tell them the truth, be amazingly accurate and sympathetic. Hazel Lee is just that person. I have known her as a reader for the past two years. I still recall the first time I spoke to her. Im not sure what I was expecting but I can certainly say that I was blown away by this lady. She was freakishly accurate about the state of my personal life and a relationship that I thought, much to my distress, was over. When she told me that the man I loved would return to me, I didnt believe her. I desperately wanted to believe her but couldnt due to the way in which things had ended. I must admit that I thought that like some other readers she was trying to appease me so I told her that she was wrong but she was adamant. Then despite all my reservations, every word she and her guide Kamal said came true word for word. During these past two years, I have had numerous readings with her for other situations in my life and both her and Kamal have never let me down. The thing with Hazel is that, she will always tell you the truth and at times give you clear time frames for when you must act. If you do not follow those instructions, then you only have yourself to blame. She is someone who I have come to regard as a friend purely for the love and affection she has always shown me, for being brutally honest and accurate and for being my guide. She is astonishingly precise and one of the most emotionally intelligent and credible readers that I have come across. Want to go on a Masterclass then go to a Master. Seems simple doesnt it well I have searched for many years to find my piece of the puzzle that was missing. I learnt more in morning than I have in years and years of searching.Hazel is a true force of nature whose own journey has been strewn with betrayal and tears. This is where she is genius in preventing anyone she encounters tread the same path. A modern day pioneer no whistles no bells not a unicorn in sight and most of all no BS. such a rare diamond. We were a lovely group of only 6 all vetted for perfect balance. If you are looking for your teacher do yourself a favour and check Hazel out. She told me I wont let you down. Well I can assure you she didnt, exceeded all expectations. Well done Hazel deep reverential bow. I went on a course with Hazel last weekend. She was absolutely fantastic. A total inspiration. She is a whirlwind in one body, and works you hard but my goodness she gets results. She made me believe in myself, that I can do this. I cant wait to see her again. Hazel is an amazing teacher and I cant thank her enough for pushing me forward to do what I should be doing. She is so inspirational and such a lovely lady. I attended Hazels Masterclass Feb 2016 and what I gained from the weekend I am truly grateful for. I had always struggled with delivering messages and felt I wanted someone to hold my hand when giving my readings, I also found it difficult to commit to the regular meetings of a circle. Hazels Masterclass has given me the confidence to believe in the messages I am receiving, I now give independent accurate readings face to face, over the phone and I have even read in very public places, some of this occurred during the Masterclass weekend. Leading up to masterclass I made a list of questions that I wanted to ask, but shortly after arriving and talking with the group I realised that these questions were irrelevant and longing to know the answers was what was holding me back and blocking my development. Hazels shares her mistakes so you don’t have to make them and she genuinely wants her pupils to go forward and excel to their utmost best and hopes that you do better then she did, I find her attitude and ethics as a teacher to be very honourable. 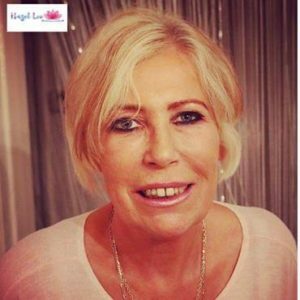 Hazels authentic and down to earth personality shows in her teaching approach, She keeps her teachings simple and straight to the point. The Masterclass left me wondering what my previous long standing anxieties were all about, you can only but love and respect the woman. I sat in a circle in a church for several years to develop as a medium, but got the encouragement, support and opportunity to find out how to work with spirit energies and raise my vibration to give readings, following a masterclass with Hazel. Hazel knew what I needed and allowed me to find out for myself what I am capable of, something that I had never had before. Hazel is an extremely generous and insightful teacher. I am so glad that I attended what I would describe as a life changing masterclass with a warm and lovely group. Words are simply not enough to express how amazing my weekend with Hazel and our lovely group was. That feeling of being totally reinvented and reborn, still knowing youve been forever the personsoul you see in yourself now… Thank you Hazel for uncovering the mysteries of the spirits world and the magic and beauty of the world of psychics. Cant wait to see, meet, talk to you again. Lots of love. I am one of those people who was very aware at an early age that there was something missing from my education it was the spiritual connection that I did not feel was present in church services. After years and years of psychic readings, studying numerology, crystals, astrology i.e.I can draw up a birth chart, but I still need my books, getting to know tarot cards, going to Mind, Body, Spirit events, being told that I am psychic but no further guidance given, I came across Hazel.I got her by chance when I rang Psychic Today and she told me to get myself onto her Psychic Masterclass course. So I did, and what an incredible experience it has been. If youve got it in you Hazel will make you do more than you think yourself capable. She has set me on a path that I have been trying to find for the last 40 years or so! Thank you from the bottom of heart I will do my very best to be worthy of your faith in me.Love Vivienne. I cant say enough nice things about Hazel,if it wasnt for her teaching the psychic course I would never have known how psychic I was ,she has a wonderful inviting personality which draws you in to her. Thank you Hazel you changed my life.much love always as I know we will always be friends because of this. Hazel Lee’s master class, the simple approach, does exactly what “it says on the tin”. It is a master class, aimed at giving the deepest and highest knowledge, whilst at the same time being done in a very simple yet very powerful way. Hazel’s methods and system cuts through the “mumbo jumbo” so to speak, and reaches the core in a very short time. Though very thorough in the “psychic arts” myself, Hazel’s methodology has enabled me to reach an even higher plateau and access skills and gifts that I was not even aware were latent within me. This would possibly be your last “course”, there is no need to look any further. Hazel’s approach may feel a little unorthodox…but it works and works well. Many thanks Hazel for bringing out the best in your students. Hazel was just as I imagined her to be and more. A real force of nature, a fabulous motivating teacher. Loved her straightforward , down to earth style. The course was challenging but rewarding and a week of intense learning has propelled me into an exciting new direction . Wow! What an amazing week I went to Hazels master class on 16th September. Loved every second of it!! Hazel is a born teacher and such a down to earth, kind, funny, genuine person and from the moment she gets the class started her priority is bringing out your ability which she can see in you as clear as a bell!! I discovered psychic today last year and loved the show. Well little did i know just over a year on id be working for them!! I had readings from Faith, she, like Hazel, is an amazing psychic and she saw the gift I had. I had no idea i had this gift, I wasn’t born hearing and seeing things like some. So anyway after hearing this I thought I would find out about the masterclass. I spoke to hazel and yes she saw it straight away. Thats the lovely thing about this as well, you know when your sitting in hazels class you are there because you have this ability and wouldn’t be if she didn’t see it in you so that in its self gives you confidence. Well the week was fantastic, with other like minded lovely people who, like me, hadn’t seen their gift in action!! well we certainly got a chance for our gift to shine! Through the week we were all giving accurate readings over the phone and face to face!!! I was amazed and delighted. I have passed psychic todays test and will be working for them very soon!! I am over the moon. If I can help people and uplift them the way i have been when I’ve had a reading through harder times I will be so happy. Thank you so much Hazel, you gave us all so much belief in ourselves. You are so lovely. “When the student is ready, the teacher shows up”…how true is that! From a young age I knew I was a psychic, I didnt really understand what to do with it. Hazels masterclass took me on a spiritual journey full of emotions and words that I needed to hear. The whole experience has allowed me to heighten my psychic ability, I understand myself much more now! The journey has given me so much confidence and I am now working as a professional psychic healer. Hazel and her spirit guide Kamal are absolutely amazing they are a great team and I thank them both with all my heart! Its great having a psychic reading that tells you you’re psychic, but often that doesn’t really help. Its a TOTALLY different thing when someone can SHOW you you’re a Psychic, and literally moves you beyond your own and others disbelief into a place where you not only now believe it but experience it for yourself. For me, the thing that really works, the true gift Hazel has beyond her obvious spiritual/psychic abilities is her beautiful directness, her no-nonsense, full disclosure approach. Its all about YOU and YOUR gift. I had been searching for someone that could help unlock what I knew to be there. Hazel has done far, far more and for this I am deeply grateful. I had just completed the masterclass in Devon. I attended the course for my personal spiritual development , but I came out as a psychic. Amazing experience. We were trained and tested. Everyone in our group had obviously learned and experienced the spiritual world !Ghost hunting although I dont like this terminology was the most exciting part of it and we all had many experiences of spirit that nobody can now doubt the existence of Spirit. The location was excellent. I wish to Thank Hazel for all her efforts to bring this course a life experience. !! Thankyou Hazel for all your help and support on the Psychic Masterclass. I wasnt sure what the next step was on my spiritual path then I saw the advertisement for the Masterclass. I attended the course and immediately felt the lovely energy from Hazel and the other class members and I new I was going in the right direction.The information I received was exactly what I needed and it gave me the confidence to read for the others in the class as o9n the telephone and face to face with strangers. I would recommend this course to anyone who wants to develop their skills with a very lovely lady who is passionate about her calling in life. I now feel I can move forward with a heightened awareness and confidence in helping others. Meeting Hazel and attending one the masterclasses has changed my live, she is a gifted, talented, to the point person, who has the ability to take you deep within yourself, to believe in yourself, to feel free. She takes time to spends with each individual, giving those who are not so confident or a bit slower extra time and support. Hazel and her guide Kamal really put 110 into their training. I feel I have found a friend for life, I now feel I can take on anything, all the things I have been putting off for at least 3 years, my confidence has been boosted and I love this lady to bits Hazel KEEP UP THE GOOD WORK YOUR ONE OF BEST. I also spend the week with 9 other members whom I would not have met if it were not for Hazel. I attended and successfully completed Hazel Lee Psychic development Master class, it was well worth attending. Within one week she would show you what you need to know. She would get to the point straight away no messy around. By the end of the week she would have you reading for the general public. And the general public would give you the feed back on how accurate you are, they would even ask you the question how come you know so much about them. Its amazing and its fun, if you want to discover more about yourself, and understand t how to turn into the energies then this is a course one should consider. Once you have done this course you would not need to read books on how to read tarot cards again. You would just look at a person feel their energy and know what is going on in their life. Dear Hazellee i have been watching the show last night and i could of only imagened how beautiful i would look in the red dress that you were wearing you looked very glamourous, i still remember the course i did with you last May and i will never forget that,hope you are well and thank you. from Gayna. Just attended Hazels Masterclass weekend at the Fairwaterhead Hotel in North Devon Nov 232425th 2012. Firstly, you cant fault the hotel warm, friendly, immaculate and the food is fantastic. Now the real star is Hazel. Hazel and Kamal bring together a group who will be exactly the right blend of personalities, for anyone given the opportunity to attend, for anyone struggling to develop their psychic ability, anyone wanting to develop their gift further please go, you will never regret it. Hazels attention to each of her students, her teaching, inspiration and guidance are brilliant. There is also the opportunity to do some table moving using collective energy and ghost hunting checking out the hotel for spirit activity, huge fun. An experience you will never forget. Hi Hazel,I had a reading from you on the 29th September 2012, after watching you on psychic TV and was very impress by the way you spoke and explained what you had read for those calling and texting into the programme. I was so impress with my reading as all I told you about myself was my name as you said you did not want anymore information as you would tell me what I needed to know. From the moment you said those words and started to speak about my situation I was very very impressed as you got all the details, feelings the whole package of all those involved in the sitauation stop on. I was very upset when my time ran out and you were not able to finish what you were saying to me. I would really like to get back in touch with you and find out more about my situation. I also told my sister about your amazing psychic ability I have never in the whole of my life come accross someone as good as you. Please respond to me and tell me how I can get further reading from you. Ta. Helloooo Hazel….sent you e mail today thanking you for invite to devon in november etc., explains why unable to go. from Alison Westcliff on sea Essex. I have just returned from a weekend retreat of psychic teaching with Hazel, I have never been so glad that I went somewhere, having tried many avenues to find my spiritual path for many years I cannot tell u how wonderful it is to finally be on it, hazel is a wonderful teacher, she and kamal will show you your spiritual gift in a way that u will understand and believe, if you have struggled to find your way with spirit find this lady, your life will be truly blessed and changed, not just for a few days, but going forward into the future. I met Hazel at an Asda car park in October 2011. I was on my way to sign on at the Job centre and parked at the car park when I met Hazel at parking pay meter. Hazel did not have change and I gave her 1 to park. I was unemployed at the time and Hazel gave me an instant prediction about my future.It was not what I wanted to hear but I held onto what Hazel said to me and oddly enough she gave me strength to hold out and remain strong enough to survive what was to occur over a 5 month period of unemployment and despair.Hazel told me that this will change for the better in February 2012. It has been a depressing time for me not working for so long without receiving any money not even job seekers allowance as I had paid sufficient national insurance contributions. I have worked tirelessly as a social worker for 33yrs and not having any money for over 5 months was beginning to take its toll in so many ways.I held onto what Hazel told me and sure enough her prediction and spiritual guidance has helped and held me together even though we met briefly for all of 30 secs. I will always remember Hazel for her divine intervention and the period of darkness that engulfed me has been a learning experience that I shall be able to grow in strength and stature.I owe so much to Hazel for her clairvoyant talent that has guided me to this point where I have learnt so much about myself and other people. On Friday 10th February 2012 I attended 2 interviews and I was successful in both having tried unsuccessfully for 5 months. I now view the world and my future so differently thanks to my experience and will use this to my advantage. I was unfairly dismissed from my most recent long term position as Registered Manager of a Children`s Home after nearly 4yrs there and then took up a temporary position managing a another home in Hounslow where I was not paid for the last month. I have always been over generous in my life and sought money owed to me by these two people and another person who owed me money in total thousands of `s. I have almost learnt to let go and put that money behind me. Those of you out there who may be sceptics about about the power of good of those out there who are gifted to read, predict, give sound advice and guidance, don`t be. We all have the ability but some people like Hazel have an abundance of natural spiritual energy that is enhanced and developed each time they give a reading. Hazel only gets stronger and more accurate each time she shares her wisdom with us.I am truly thankful to Hazel and hope to see her again sometime to say thank you. Weekend 101111 to 131111 WOW WOW WOWAnyone reading this please remember this is the first step to finding your true self and believing in yourself.Well, where do I start. Ive been put down all my life and went through trauma, enough to serve me a lifetime In time I will be writing a book, even that I wouldnt have started if I didnt know about hazel Without diverting I have had a gift from a young childhood, but family and friends called it Gift of the Gab which for years I found annoying for my own reasons I saw things when I was younger and thought I was just mad, then went through trauma for 7 years which bought reality to me. I went on hazels course and the funny thing is everyone there had booked their place 6 to 9months in advance to get a place, I called at the last minute and like Hazel said on that Wednesday night 71111, you will be there and should have been there years ago and wow was she right I do not know how this happened, but yes I was there, didnt have the money, it was my weekend with the children and two days to sort it out no no no I said to myself. The reason I mention this is it was amazing the universe got me there by hook or crook every door opened all was sorted and I was there Let me continue, I have not been on holiday for 7 years abroad or in the uk so this was my first trip away after my trauma of years. The whole journey was a breath of fresh air, the universe supported me and got me there by hook or crook..what can I say I learnt so so much A few things Ill mention e.g. I found me, believed in me and realised what I had was a true gift and very unique in my own way, whilst away on this weekend each breath I took was air of positivity absolutely amazing. This was about 4 weeks ago and over this four week period I monitored myself and yes I can honestly now confirm as its been 4 weeks since then. I know ever since I got back I am now a different person What can I say apart from Thank you to you Hazel for helping me realise so much, not mentioning how much I have developed since then.I would also like to mention I am now in the process of writing a book, I attend Hazel Lees centre to do voluntary readings and boy its amazing I feel like I`m at home, like I did when on the course I also cried when leaving as I felt I found my bed and wanted to lay in it.Amazing amazing amazing so guys please stop reading this and book your place now and also enjoy the buzz of your future in 2012. This is not just another workshop by a trainer, with plenty of titles, etc. Hazel has no time for that. Hazel DELIVERS what she promises. From the start, Hazel said that when we will come out of this workshop, we will be able to do readings. I must confess that I was not sure that it would be the case for me as I had never learnt anything about cards. So the only thing I could do was to do my best. Today, I am doing tarot reading for the public and the results are not bad. I even enjoy doing it. Of course, as in any trade, practice makes perfect. So it is up to me to do what it takes to do even better. Now, From the start, Hazel anounced that this workshop was about practice, and she kept us on our toes. No time for any blurb about what she has been doing with success. Her main concern was to reach the goal she had set for us, which she did with success. Hazel is a giver She is passionate, a great trainer, in fact a coach. She does her job with love. For people reading this because they are either thinking of going on one of Hazel`s courses or contacting her for a reading, let me tell you to just get on with it. Now. And why Because you will learn so much about you and your potential that is within you. On the course you will be with alongside likeminded people, in peaceful surroundings, well, until spirit come to join you, with great hotel staff serving very enjoyable food. Hazel will work your socks off, so much so it`ll take you a week to comes to terms with all you will learn about you. On the course and in readings, boy is she candid, but don`t you want someone who tells you how it is I do and I did. For that I am grateful, I know where I stand and I know what I have to do. You can probably tell from the way I am writing this I am a businesswoman who is time precious and travelled quite a distance for this. It was well worth it and I intend to make it the beginning of something new. So now it`s your turn. You`ll be glad you contacted Hazel. P.S. Hazel a big thank you for the energetic effect you have on people. Claire I thank you for looking after us and Hazel. I hope to see you both in 2012. Love and light Rachel. Hi Hazel. Am eternally grateful for such a positive and uplifting reading the other night. You really connected with my soul purpose and left me feeling more confident about the future. You have an amzing gift and I was so glad you were able to share it with me. I look forward to doing a masterclass with you in the future.Love and Light L.
Hi Hazel, Alan from Ireland the medium and paranormal investigator Help for Heros, As promised I made contact with you after my reading with you tonight Wed on TV. Really enjoyed your connection and look forward to making contact with you to discuss further our conversation. Love and LightAlan. Reading Sunday 17th March, Es CanaHazel, I can`t tell you how much your reading mean`t to me, it answered questions that I have been fustrated about for a long time, I love you to pieces, what a fantastic woman So thank you, this really has helped so much. Hello Hazel,thank you so much for the reading last Thursday, 31st March, following up a brief reading on PTV. Lots of sopt on validations and exactly the same prediction as before, which my instincts tell me will come to fruition, and great advice. I look forward to keeping in touch as things develop and move forward. Hi Hazel Thanks for the most amazing experinces. I throughly enjoyed all of the course, I cancan`t wait to do the master class in Nov. I felt so at ease with you and claire, you made me feel confident about myself. I now know what i have to doi with this gift. I also met some lovely people on the course who are all really gifted. Hi HazelThanks for the most amazing experinces. I throughly enjoyed all of the course, I cancan`t wait to do the master class in Nov. I felt so at ease with you and claire, you made me feel confident about myself. I now know what i have to doi with this gift. I also met some lovely people on the course who are all really gifted. Well what can I say Hazel and Kamal and Clare. I had a fantastic time on your weekend. I was impressed by your honesty and integrity, and your ability to communicate spiritual wisdom in such a simple and clear way. Also the joy of sharing this with others just like me was very special. For me this has been the icing on the cake on my spiritual journey. I would not hesitate to encourage anyone who is an untrained psychic, to attend your masterclass, and learn how to start living a full productive life. Hi Hazel watching the programme tonight the other night i saw you in my 3rd eye you wearing a white dress with pinkish butterflies flying around you and tonight i saw numbers 5 7 a gold crown a star and a car door showing the window does this make any sense to you if not was it someone you was doing a reading for, oh i saw a ring with a crystal on it. lnl gayna. Dear hazellee i hope you can help me i want to go into psychic development and was woundering if you did any around my area as i have full trust that you would learn me the proper way, as i would only like to be trained by the best. hope you can help me. dearest fan gayna. hope you can answer my letter. hi there hazel i had a reading from you some weeks ago and said that i was going to be working along with spirit next year and that change was coming along can,t wait until the new year i will let you know what becomes of it. love the show also you,re biggest fan lnl. `Twas around the time of October last yearThat my days were just full of pain, hurt and fearWhen by chance my gaze fell on Psychic TVAnd I thought, might as well just have a lookseeSo, I sent off a text, sat and waited around,Then a response… `HAZEL LEE` had been found.In just one minuteshe could not speak at lengthBut those words did bring a little more strengthIn following months, several readings took placeOn occasion she did bring a smile to my faceMy dear Mum`s illness had caused me such strainAnd my love life imploded to leave hurt and painOne day, Hazel said You could do this you know not just watch the psychics perform on the showSo I tried, down in Devon, and to my surpriseGhost appeared, tables flew, infront of my eyes.Now, some days, I can see a sign of hope thereAnd I think back to days, full of only despairI`ve not yet found the answer, it`s not in any bookBut I do have an inkling, of where I might look.Alan. West Midlands. Hi Hazel and Kamal, thank you so much for such an enlightening and action packed weekend on the Mediumship masterclass. Your teachings and guidance made something very simple of something that can be very complex. I`ve practised different methods in the past of raising my vibration, but your teachings made it less complex, attainable and for me allowed me the confidence to trust in the information Spirit was channelling through me and enabling me to fluently deliver these messages during readings.The thing holding me back with my Spirit work has always been me and my lack of confidence in the info I was receiving. Now I know all I need to do is trust by applying the methods taught over last weekend. Thanks also for your honesty and encouragement. I am looking forward to the Advanced class alreadyFood and accomodation and setting was fab tooLove and Blessings, Annie. thank you for all that you have done for me in the past few weeks you don`t know what you have done for me and I am extremely thankful for your support.You made me deal with things that everyone wasn`t aware of even myself thank you for bringing these out and making me aware of them.thank you very very much. Hi Hazel Kamal,I just wanted to say thanks to you both for the uplifting reading I had with you this evening. I thoroughly enjoyed it and hope to see you next year. just popping in to say hi to hazel, hopefully she will remember me, mary from sevenoaks awareness center. I attended the workshop in June run by Hazel, and had no idea what to expect, but it was a delight. The teaching was direct, clear and easy to understand, followed by exercises which prevented the panic and selfdoubt arising let alone getting a hold. The meditations were extremely useful, with definate aims and very effective. The Hotel was in a beautiful rural location, the accomodation and sustenance excellent. A must enjoyable and instructive weekend. Hi Hazel ,What a remarkable woman i love your spirit very powerful keep up the good work and all that you are doing for the poor in Lambeth my you continue to grow from strength to strength may the good lord continue to work with you always ,i got a very nice reading from you love always. Thank you Hazel for my first proper reading tonight. You gave lots and lots of proof that my grandparents and son are still around and described them perfectly. I can`t wait to tell the rest of my family about it and I feel so lucky to be given such proof. Thanks again. fantastic, hope to see you at the class, if i can get there. I had a phone reading with Hazel in June 2010 a 5 mins on Sky 886. She blow me away she was so accurate. she put my mind on ease. I would soon be doing i private reading with her. Can wait to speak to her. Had a phone reading with Hazel on 140610. Theres no doubt in my mind she is the real deal, picked up on my mother in spirit who had not long passed and gave me loads of validations along the way. i have just returned from a reading with hazel she was great answered a lot of things for me and has put my mind at ease with a lot im so greatfull i saw her now thank you very much . I have recently returned from Hazel`s masterclass in Devon, with excellent food, in a delightful hotel with beautiful surrounding countryside.What an amazing, eyeopening experience After troubled times in my personal life, and several readings with Hazel in recent months, I attended the weekend to understand more about the psychic world, and I certainly wasn`t disappointed. My first experience of Tarot, crystals and the like was simply stunning. Follow this with noises, orbs, lights flashing and doors opening into empty rooms, then leaping around trying to keep pace with a table flying around the room, and you too would be amazed and this is coming from a logical, analytical, middleaged man, who always sees things in black and white I would wholeheartedly recommend this weekend to anyone with the slightest interest in the psychic world. Hazel`s enthusiasm and knowledge, aided by the ever present Kamal, will ensure that you will gain from the experience, and the benefits could change your life. Alan. Hey Hazel thank you for such a fun filled educating weekend. From the moment I arrived on friday the fun and tuition did not stop.The master classes were all taught with love light and sincerity, which enabled everyone to let go of their fears and embrace their destiny, Hazel knows what is needed to for each one of us to move forward with confidence and pushed us in the direction which suited us best individually. the classes coupled with the ghost hunt resulted in a superb weekend, that was topped of with a a wonderful selection of cusine, yummm yumm thank you Hazel for such a magical weekend. Dear Hazel and Kamal. Thank you for the amazing reading you gave me last night. You made me feel alot more positive, you could see how low and negative i was feeling, but you kept saying have faith in you and kamal, and i promise i will. i will be more positive and see the good things you pedicted in the future. I hope and pray that your predictions come true, and from august onwards i will be a very happy woman and with the man of my dreams. I look forward to talking and seeing you in end august on my return. I hope one a day i can do for you what you have done for me. I came away calmer and relaxed and looking forward to the future. Thank you, thank you thank you again. Pray for me that that what you said comes true and my wait will be woth it. May god bless you. Love and light. it was an amazing weekend in devon.hazel welcome you in a way that you can feel yourself at home and show you the true and simple way to go deeper within yourself and explore your own true potential.hazel also give you true insight for yourself to carry on exploring your own abilities into your life. I would just like to say a big THANKYOU to Hazel for making the weekend masterclass in April a truly uplifting, memorable experience for me. As i am sure it was for all the other people who attended. So much so i would like to attend her second masterclass in November. My life has taken on a new meaning since attending, and i am enjoying the gifts that Hazel and Karmel have given me. Not only was the masterclass set in beautiful surroundings, it was also nice to be with people who share the same goals in life. AND THE FOOD WAS AMAZING. I feel Hazel has helped me recognise a true gift that i have always had, but not realised it fully, and i intend to use the gifts to their full potential, in my chosen paths in life. Hazel has given me the confidence to do this. And i will not dissappoint her So thanks Hazel and Karmel. I will see you at your SPRING HEALING CENTER, where you continue to do your good work. Dear Hazel, I would like to thank you on behalf of my Mum Jean and myself for a great weekend in Devon. I feel as if you have opened the door for us and given us the confidence to walk through. Thank you for your time and energy, love Sandra and Jean. Thankyou Hazel and of course Kamal. I have just experienced the most enlightening weekend of my life so far. I now finally understand. The beautiful simplicity of working with my guide to help others on their own paths in life. Many hundreds of pounds I have spent on courses and seminars. Which have all left me still asking and wanting to know more. NO MORE. Hazel you have given me my only puzzle piece. It works. All the teachings I have taken on board from your weekend MasterClass. So rest assured…I will now go and teach to my hearts content. No more fluff and waffle and unecessary STUFF. Just work with my guide and Open and work in the light. You are truly a wise lady who I know has worked tiresomely to give these truths back to the people. I have a great understanding of where you are coming from. As you shared all your knowledge without an Ego. You passed all the words on with such passion and I myself and all the other people on the Master Class course truly felt them and then could work. And we certainly did that…So now I am so excited and chomping at the bit to get started. I will of course be on the Advanced Course in November. Truly A BIG THANKYOU from the bottom of my heart. HI 5 ha ha Forever Grateful Alison Swales . YOGI. Spoke to Hazel on Friday about some really BIG issues happening now. Let me tell you this. Hazel was very supportive but forthright. She helped me find the way forward by realising what is really important in life and gave me the courage to break the mould and do what is necessary. hazel, didn`t get to speak too long with you before, but from what i spoke to about, you have a great insight on daily life. Thank you and hope to apeak to you soon again. What a privilege it was today to speak with the kind considerate and VERY professional Hazel Lee. In seconds she can read your feelings … even your past life and soul. I am grateful for her energy and time. And friends dont miss the chance of have a reading from Hazel. She is a NUMBER ONE, TOGETHER WITH HER BELOVED KAMAL. Bless you both. Thank you very much for tonight`s reading. i will definitely book a private reading and am looking forward to speaking with you again. You are very accurate and positive. i will follow your advice. Thanks again to you and your guides. Thank you Hazel and Kamal and all the lovely gifted people I spent the weekend with at Hazel and Kamal`s Masterclass in Devon. It was an enlightening and very uplifting experience and I would recommend Hazel and Kamal to anyone wishing to progess with their gifts, they have a very unique and amazing way of teaching, all done with love and understanding. I now believe I am one of those gifted people and am ready to live in the light with my guide. Love always. Following October reading, got in touch with my Uncle for the first time in several years as suggested by Hazel. Thankfully, I was able to spend a little quality time with him before he passed away in January. Thanks Hazel. Thank you so much Hazel for the help you gave me recently and the inspiration to carry on. Although things seem hard to deal with right now I am sure that come the new year I will try and process things more clearly. You are a truly honourable and honest light worker, and there are many people who could learn from you. Dont you ever change. Dear Hazel, …A true thank you for inspiring me to believe that I can and did have a connection with Spirit. When we started the ghost hunt I didn`t realise that the cook would make such a connection with me Kamal has picked a lady who expresses his messages in an understandable no frills method. The group have become as a family who encouraged during the weekend and I feel will encourage each other in the future. Blessings to you all. Hazel, Thank you for tonights reading. It is so very refreshing to have a `down to earth` approach for a reading. A spade is spade that is how you, being the voice of your guide, see the world. Using everyday words which convey accurate meaning. I hope this makes sense I am booked on your November Masterclass but already you have given back my confidence to work for Spirit. Blessings for your work in all areas. Very interested hearing about your work with the Spring Healing Centre on TV. Please note the link to that organisation from this site is NOT working. Dear Hazel I write to thank you so much for giving me the priviledge to be in your masterclass. I never taught that I could learn so much within such a short space of time.The selflessness you showed in giving us the knoweledge and experience you`ve gained over the years I am very grateful for. I have thoroughly enjoyed myself and look forward to the next classThank you so much HazelLove Val. hazel is a lovely lady, shes been very supportive of sevenoaks awareness centre in kent, which im vice president of , shes a good freind to my president jackie. most of all shes an excellent medium, giving me very accurate messages not to myself but others. when she visits our centre its a very enjoyable evening and those who get a message can go away feeling uplifted.a year ago hazel gave me something very positive and true, she hit it on the nail. shes as far as im concerned a top medium and should be working on the tv ect. what ever she does spirit will guide her. lots of love from everyone at the sevenoaks awareness centre. Hazel is an amazing person, I find her very inspiring. It was through Hazel that I discovered I was a healer. A truly wonderful, kind and gifted lady whose goal is to bring light to as many souls as possible. She is genuine and works from the heart. You were spot on with everything. I was most surprise when you mentioned the person`s name, that really threw me, because most mediums I have been have never mentioned his name. I was extremely and pleasantly surprised as to how accurate you were. Hi Hazel, ill sign your guestbook again when i have my own email address,im sure your remember which Caroline i am the one with the knees, the chiropractor and Andrew . Happy new year Hazel, oh my knee ops are on 30.1.09. Signing again for a second time, as i couldnt get it all in what i wanted to say before. I have had several readings with Hazel, who is always accurate and very down to earth. What really inspires me about Hazel is her abilty to stay grounded and not become consumed with her own ego, good on you Hazel, you are a true and honest channel for spirt. keep up the good work. caroline with the knees. Hazel, Thank you for all your support over the past few months. Besides being a very talented medium you are also a very good friend. I cannot wait for the workshop in February, it`s going to lots of fun but I dare say very challenging too.